Dreams are for all but not everybody succeeds in realizing them. People who succeed sacrifice their worthwhile to make their dreams come true. Karl Friedrich Benz, famously known as Karl Benz, was the founder of the Mercedes Benz range of automobiles. This brand is well known and is world renowned. The founder did not have a cake walk setting up the successful brand of automobiles. It was a great struggle from the beginning. Overcoming a lot of hardships and problems, Benz rose to become the manufacturer and inventor of the first working automobile that worked using the internal combustion engine. He made his way to success facing each challenge with a lot of confidence in his own self. This made Karl Benz the proud owner of this eminent and legendary automobile unit. 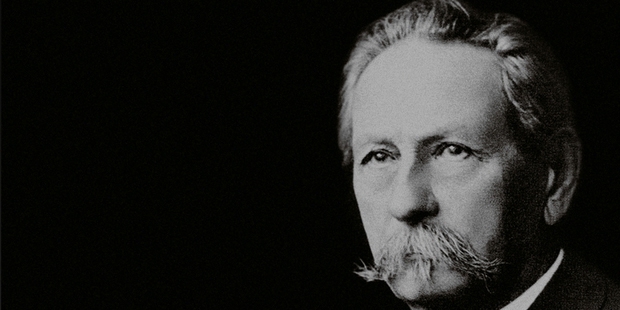 Karl Benz was born in 1844 in Baden Muehlburg to an engine driver. He lost his father when he was two years old. With a lot of struggle, his mother gave him the best education that she could afford. Determination and hard work led him to successfully graduate as a mechanical engineering. After his education, Karl Benz along with his friend Ritter founded an organization that supplied building materials. The organization fared very badly in its first year of establishment. It was at this time Bertha Ringer, fiance of Karl Benz bought Ritter’s shares. This came as some kind of hope and relief to Karl Benz. While the situations looked to be in control for a few months, the company and the couple had to face a lot of misfortunes. Benz had always dreamt of the horseless carriages while he rode the bicycle in his school days. He made up his mind to be determined and with all his confidence and will power, he set to work on his dreams. With a hope of generating more income, Karl Benz began working on the two-stroke engine. He successfully gained the patent for the two-stroke engine in 1879. With his hard work and innovative thoughts, Karl Benz could get patents to a lot of his inventions that included gear shift, clutch, water radiator etc. Due to the high production costs that his organization maintained, the banks at Mannheim demanded the organization to be incorporated. With the help of a friend and his brother he was able to retain the organization but it had to be converted to a Joint-Stock Company. This left Karl Benz with a mere five percent shares and his innovations were no longer accepted after which he decided to quit. On moving out, Benz made his way to a bicycle repair shop where he founded Benz & Cie along with Max Rose and Friedrich Wilhelm. This organization slowly began to grow in size and soon produced the static gas engines. Benz then began his efforts of developing an automobile that functioned with its own power. He was successful and Karl Benz was patented with this invention. He was proudly regarded as the inventor of the first automobile.In spite of several challenges, Karl Benz had the determination and courage to make his vision turn into reality. With a constant focus on his dreams, he was finally successful in inventing what he conceptualized since his childhood.